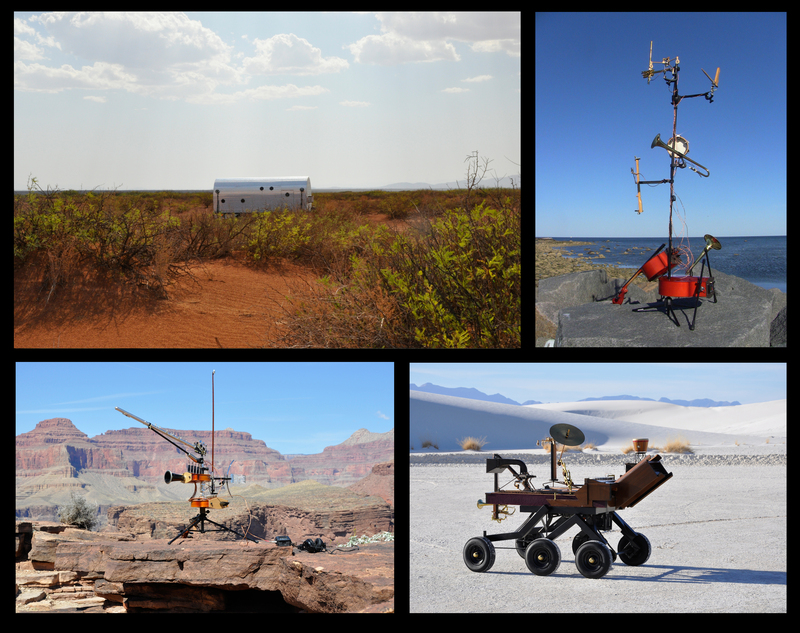 The EAR1 Sextet Remote Station sculpture captured the sound of a hailstorm today -The second such storm this month. Shredded trees and plants by snow-white marbles on this odd October day. Mark Twain said “Climate is what we expect, weather is what we get”. We know now there is a connection. EAR1 Explores an area known as Hemlock Hollow. This forest is studied by The Harvard Forest (HFR) Long Term Ecological Research site. 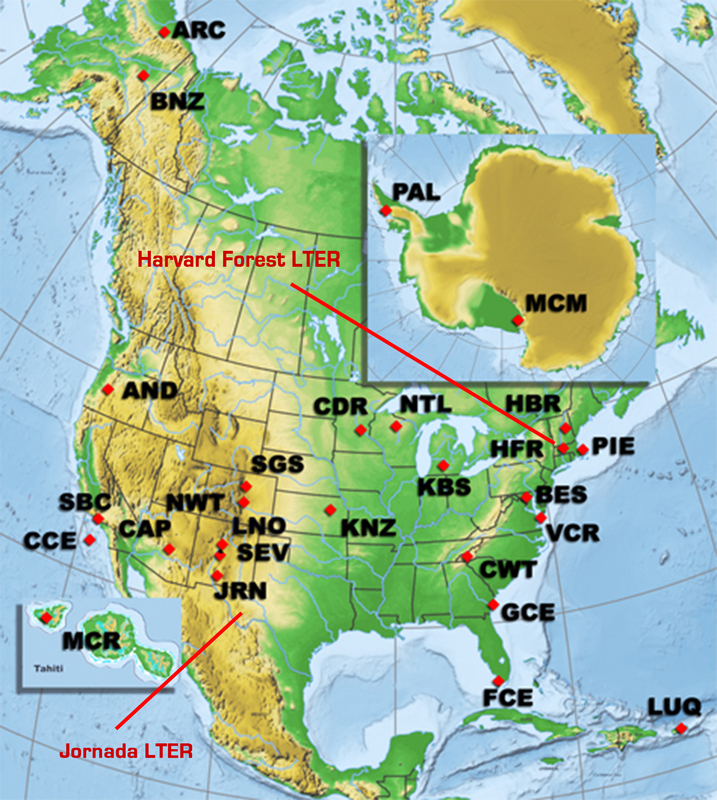 (LTER) This site is one in a network of 26 scientific sites dedicated to long-term research to better understand environment, land use, and effects of climate change. This is the second LTER Ear1 has explore – the first being The Jornada Scientific Range (JRN) in the northern Chihuahua desert, New Mexico. The defoliated trunks of these giants are due to an aphid-like insect called the Hemlock Woolly Adelgid (HWA) and signifies their eventual mortality. Accidentally transported from Japan to the US in 1951, this invasive species has decimated millions of trees from Georgia to Maine changing ecosystems forever. This is a sober reminder to the dangers of transplanted species through globalization. One day we may not have the opportunity to look up and listen with the Eastern Hemlock. According to fossil pollen and sediment core samples the Eastern Hemlock has dominated this area for 8,000 years. I am constantly thinking about how we might perceive environment in alternate ways and how I may engage in this experiment with my art practice in a meaningful way. We are faced with ecological challenges like never before and yet it often feels as though change is slow, or even non-existent. 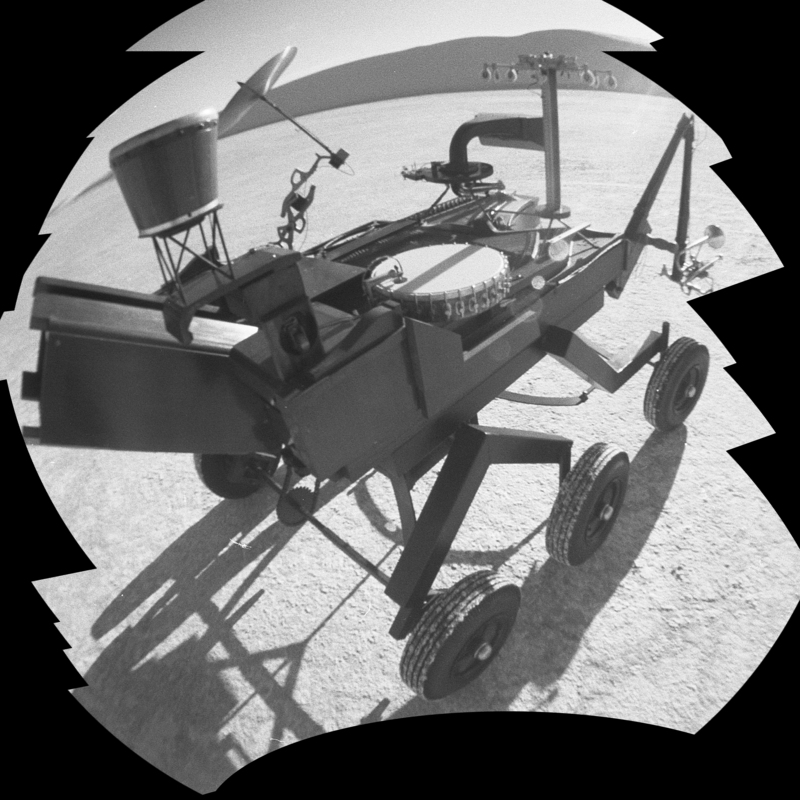 The EAR1 Project (Earth Aural Rover) is interdisciplinary as well as multidisciplinary designed to explore how we may perceive environment in alternative ways. The project is manifested through my research of neuroscience, music, ecology, psychology and the related biological mechanics of each. In recent years neuroscientists have been placing musicians in functional MRIs in an effort to study how their brains work while they are listening and playing music. What has been discovered is that music activates our brains more than any other activity. This fact has inspired me to use music as a voice in my art. I reason that if our brains are most engaged with music, then this is a perfect material for me to explore with. It is interesting that both musical and scientific devices share the word instrument. On a certain level these instruments as objects serve the same purpose for art and science by providing exploratory agency. I experiment with what these objects can tell us and by what processes we may think through them. 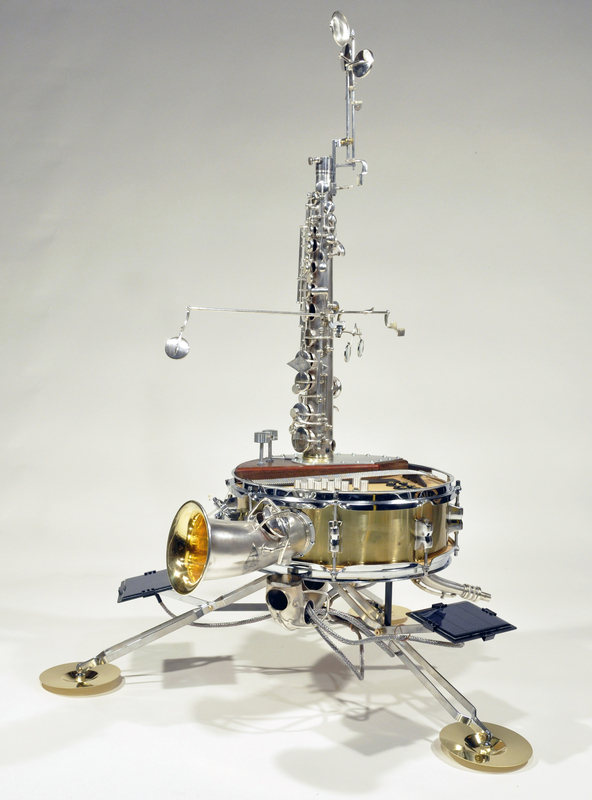 Inspired by NASA’s Curiosity rover mission to Mars, the Earth Aural Rover (EAR1) project deploys sculptural objects built from musical instruments to resemble machines of science. A piano, trumpet, drums, banjo, Victrola, cymbals, and a clarinet all become a new form of instrument with which to explore. The EAR1 Rover roams landscapes in search of sound. 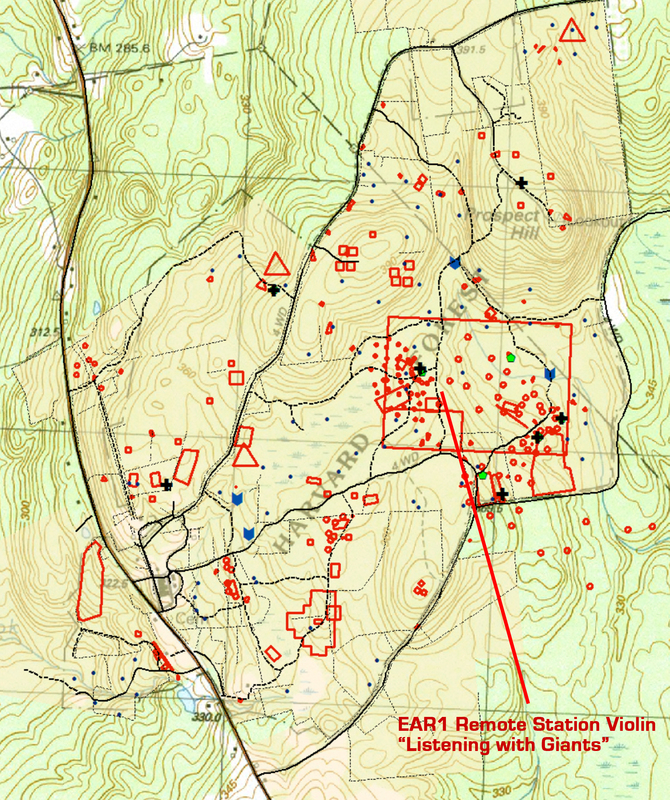 The Remote Station Cello and Remote Station Violin collect environmental music previously unheard before. These hybrid apparatuses allow me to rethink the engagement of both science and art with our environment. The EAR1 Project performs missions of exploration, traversing the terrain of city and countryside alike, making recordings, taking photos, shooting video, and performing compositions in a collaboration between artists, scientists, musicians and nature alike. By blurring lines between the art/object and the science/instrument, these new objects create opportunities to delve into new modes of perceptions. I view these new modes of perception as harmonies we can listen to and express with, and to aid the discovery of new relationships between environment and us. 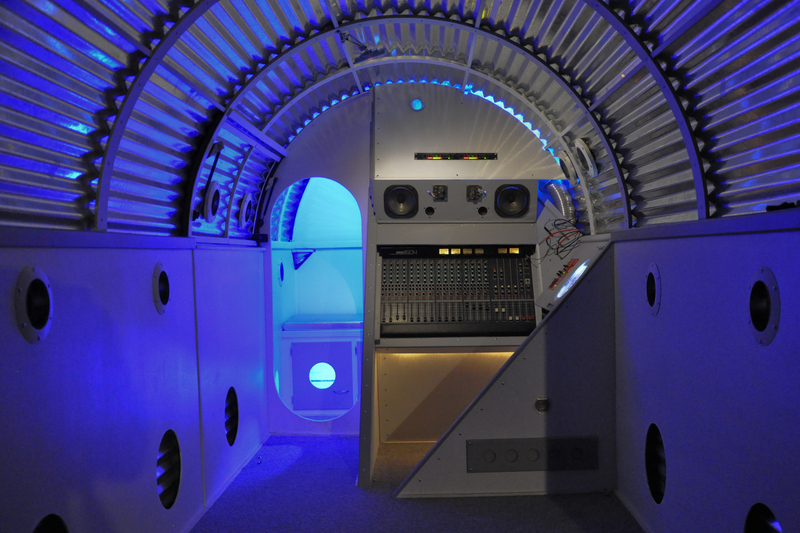 The EAR1 Command Module, 2013 (ECM) is an interactive sculpture designed with three main sections. The forward compartment is the map room, equipment storage, and sleeping quarters. The center section is the control center for sound recording and reinforcement, and the back section of the ECM is the area for transporting the rover and offloading it by ramp in various environments. I once again turned to NASA and science for inspiration in designing my command module. I’ve often contemplated the environments space explorers are confined to during their travels in orbit and to the moon. The vehicles, like the international space station and the lunar command module are not only sophisticated exploratory instruments they are environments to sustain life away from Earth. In essence they are environments constructed to explore environments. This basic idea is how I began constructing the EAR1 Command Module. My first night to sleep in Mission Control was unusually cold for the Petrified Forest National Park (PEFO) in April. The temperature outside was 21 degrees Fahrenheit. I was granted a mini residency at the PEFO that included permission to park the Command Module on the premises and explore the environment for four days in exchange for a public presentation about the EAR1 project. I explore Jasper Forest, the Painted Desert badlands, and the Teepees areas during the days and returned to the Command Module to sleep at night. On my third night at the Park, I had retired to my sleeping bag. It was unusually dark due to the full lunar eclipse. As I lay there listening to the sound recordings from Jasper Forest, I periodically heard packs of coyotes singing. My entire day had been spent actively listening to the natural and geological story of the park and I hadn’t heard a single sound associated with our modern world. I found myself contemplating connections with space explorers, or perhaps explorers in general. I had not blasted beyond our stratosphere atop a rocket. I was not floating weightless in space on a collision course with the Moon. I was not confined to my Command Module due to the harsh vacuum of space. However I was in an environment I constructed to explore an environment. My one purpose of that day was to explore the environment, make focused observations, collect information, and return to the command module to log what I had found. I believe I was experiencing an altered perception to the noisy world I normally lived in. The sound of Jasper Forest collected by the Remote Station Violin harmonizing with the coyote calls in the darkness of the eclipsed moon created a beautiful composition. I could never have imagined the experience the canyon turned out to be for me. I am altered, yet I cannot adequately say just how yet. I am convinced this is the perfect place to explore perception. Thank you Marna Bastian and Rene Westbrook for all your help in making the canyon a profound experience.